Aimee Loehndorf said she feels flooding damag to her home and other homes in Makwa this June was preventable. She said she has repeatedly asked the Ministry for improvements to fix drainage in the area, but now, any improvements will come too late for her. Aimee Loehndorf has seen spring runoff threaten to flood her family home in Makwa each year for the past five years. This year, the runoff threatened again, but she said they were able to keep water out of the house. It was heavy rains on June 9 and 10 that put her and other residents in Makwa underwater. "We had five feet inside the house. It poured in from the basement windows," she said. "So it killed all our water system, our well, hot water furnace." 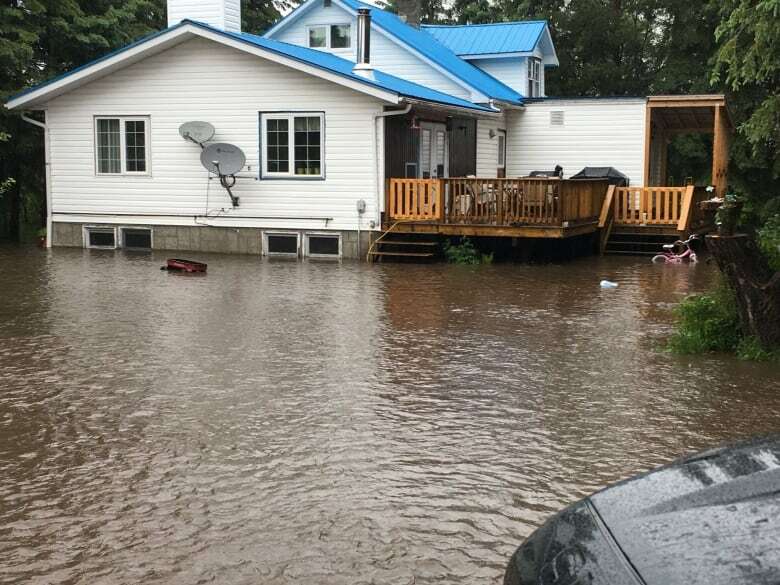 Makwa declared a state of emergency, with several houses damaged by flooding. For Loehndorf's family, the experience has turned their lives upside down, with their home uninhabitable as they use a nearby park to shower, and as they make trips out to buy water and ready-made foods. "It's been a challenge. No one wants to listen," she said. Loehndorf feels the damage was preventable. She said the previous owners of her home had flooding issues as well, after a nearby bridge was removed and the highway next to her house was rebuilt. Every year for the past few years, she said she has called the Ministry of Highways and Infrastructure to ask them to deal with the approaching water. "Everyone knows me, because I call every year at spring runoff. Then they just hope I go away for a year." The family is now trying to salvage their home themselves, as the losses exceed the insurance value, but Loehndorf said she expected it would be impossible to sell. "We feel we have no value in our home anymore; there's no resale value," she said. "We feel it's a $300,000 investment that's worth nothing now, to us." "We're essentially victims of the Ministry of Highways' inaction." Doug Wakabayashi, executive director of communications for the ministry, said torrential rainfall always carries a risk of overland flooding. The government is looking at culvert improvements to the east and west of Makwa, but it is legally obligated to maintain the natural flow of drainage, he said. "When you pass water on, it has to go somewhere else," he noted, adding that rapid, large-scale runoff or torrential rainfall may still exceed the culverts' capacity and cause flooding. Farmers cope with flooding after heavy rain in Rouleau, Sask. In cases of disagreements with landowners over drainage, the government may work with the Water Security Agency to see if a highway is holding back water, he said. People can also access provincial disaster relief funding in the case of flooding, he said, and in some cases, people may even choose to file a claim against the government if they feel government action was to blame for their issues. Loehndorf said she has not had success with her calls to the Water Security Agency or watershed, as it's been suggested that she build a berm to hold back water. She said that would not only be costly, but not practical as there is no room for the berm, nor would it hold water back from swamping the east side of their home. 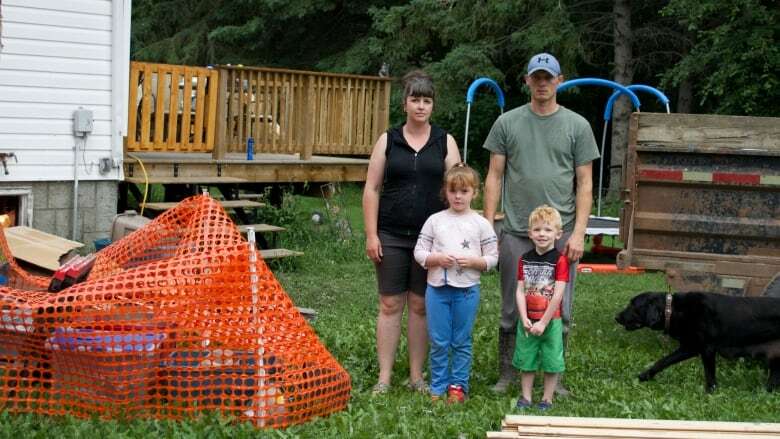 She's waiting to see if her rural municipality will get a designation to receive relief funding, and hopes to see what the family might qualify to receive. While she welcomes news the government is looking at culvert improvements, she said it's coming too late for her. "It doesn't give me back my home." Makwa is about 100 km northeast of Lloydminster.